In 18th-century Europe, many products and services reached a newly emergent middle class for the first time in human history. The capitalist age was maturing, and that meant that average people had money for the first time and lots of choices on how to spend it. One of the new products they could buy was coffee. With that came a great deal of social suspicion and even dread. None other than Johann Sebastian Bach satirized the puritanical fear of coffee in his delightful and witty “Coffee Cantata.” It was one of the few times he ever tried his hand at pure pop entertainment. Of course he succeeded brilliantly; he was Bach after all! The “Coffee Cantata” tells the story of a daughter who scandalized her father due to her devotion to coffee. She couldn’t stop singing about how wonderful it is, while her father corrected her constantly. She happily agrees to do everything he says in every area of life except one: she will not give up coffee. Then the daughter plays a little game. She has a husband in mind and extracts from him a promise that if she marries him, he must allow her to drink coffee. He agrees. Then she goes to her father, who opposes the marriage, and makes a deal: if she is permitted to marry him, she will give up coffee. The father is delighted, and agrees. Thus does the daughter gain a new husband, and, much more importantly, a permanent right to drink coffee whenever she wants! What was this fear of coffee? Why was this such a big deal? It does have some narcotic properties to it, as we all know so well. It can give you a delightful lift. But that alone does not account for the early opprobrium with which coffee-drinking, particularly for young girls, was greeted. For a fuller account, we need to understand something larger and more socially transformative: the advent of the coffee house itself. The coffee house was one of the earliest public institutions, operating on a purely commercial basis, that brought a wide variety of social classes, not to mention a mixture between men and women, in a market-based social setting. In the 18th century, coffee houses spread all over Europe and the UK, attracting young people who would sit and drink together and discuss politics, religion, and business, and exchange any manner of ideas. What the father in the Cantata is actually objecting to is not coffee as such but unapproved, unchaperoned social wanderings. This was a huge departure from the tradition that entitled parents and other social authorities, including governments, to determine what kind of associations their children would have. Coffee houses introduced a kind of anarchy to the social structure, and introduced new risks of randomized contact with ideas and people that parents could no longer control. Coffee represented freedom itself – the freedom to mix, mingle, and consume what one wanted. Indeed, coffee houses became a great source of public controversy. In England, in the 17th Century, Charles II tried to ban them all on grounds that they were “places where the disaffected met, and spread scandalous reports concerning the conduct of His Majesty and his Ministers.” Even a century later, women were banned from attending them, and this was true in France as well. Germany had more liberal laws concerning women and coffee but public suspicion was still high, as the “Coffee Cantata” suggests. Women who were banned from coffee houses developed a very clever response. 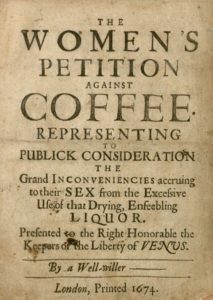 In the famous “Women’s Petition Against Coffee” of 1674, women said that coffee was responsible for the “enfeeblement” of men. Historians say the campaign contributed to the gender integration of coffee houses. 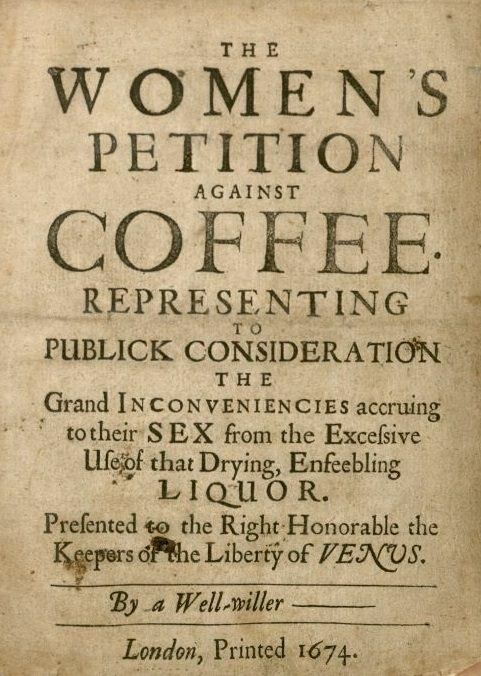 We see, then, that the commercial availability of coffee actually contributed to the advance of women’s rights! Looking back at the astonishing success of Starbucks in our own time, it doesn’t seem surprising. They too serve as gathering spots, social mixers, places of business, and centers of conversation and ideas. We are more accustomed to it now than centuries ago, and yet even today, how much political controversy is engendered by access to products and services of which social authorities disapprove? 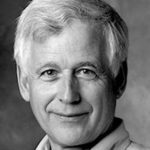 Some observers of the rose-colored-glasses-wearing variety have attempted to explain away the most recent malaise in job gains by claiming that fewer jobs are needed because so many Baby Boomers are aging out of the work force, and because people are so much wealthier, they argue, workers are leaving the labor force for non-economic reasons. That is, people are leaving the labor force for reasons other than being discouraged workers. These claims are plausible, but the empirical data we have does not support them. This is not simply a matter of fewer jobs being created because workers are going away. 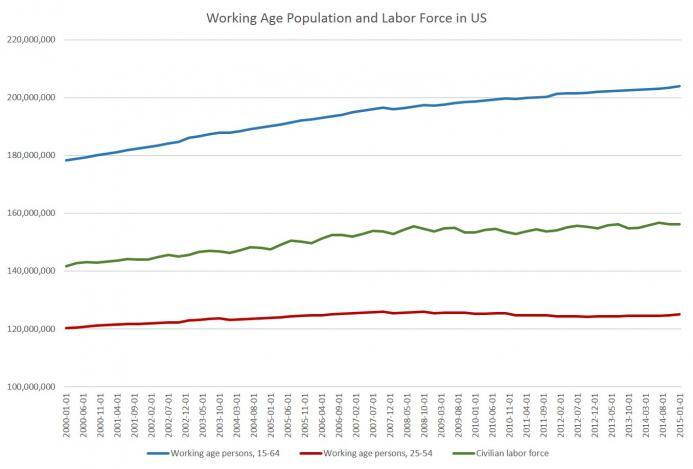 To get a sense of the situation, we have to first look at the demographics of the working age population and the labor force. The top line is the total working age population (ages 15-65) published by the OECD and the World Bank. According to this measure, there is no decline in the working age population. If people were aging out of the work force in droves to the point of driving a net exodus, we would see a downturn in the blue line. We don’t see that. In fact, from the beginning of the last recession at the end of 2007 to the first quarter of 2015, the working age population increased by 7.5 million people. 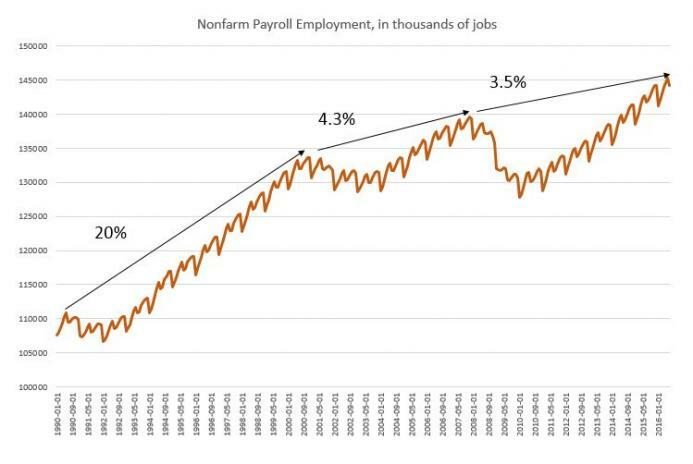 During that same period, the US economy added 801,000 jobs. That is, after the initial loss of 10 million jobs, the US economy began to add jobs again, but after more than seven full years, had only added a net of 801,000 jobs. But maybe only 801,000 jobs were added because very few of those 7.5 million people wanted to be in the work force. Well, it’s a safe bet that not all of them wanted to be in the work force, but we do know that using the standard BLS measure for the work force that 2.4 million people entered the work force during the period when only 801,000 jobs were added. (See the green line above.) That means over that time period, you had 1.6 million new people in the labor force while half that many jobs were added. And this labor force measure only takes into account active job seekers and employed people. It ignores discouraged workers and involuntary part timers. So we find that both the official labor force and the working age population were increasing at levels substantially above the employment levels. In real life, though, the work force includes quite a few people who are, say, 22 years old, and quite a few who are 60 years old. If those people are included, the working age population is growing considerably. Meanwhile, workforce participation has been falling for a number of years, and is now at some of the lowest levels that have been seen in more than 30 years. From 2014 to 2016, work force participation ranged from about 62 percent to 64 percent. That’s the lowest participation rate seen since the the early 1980s. 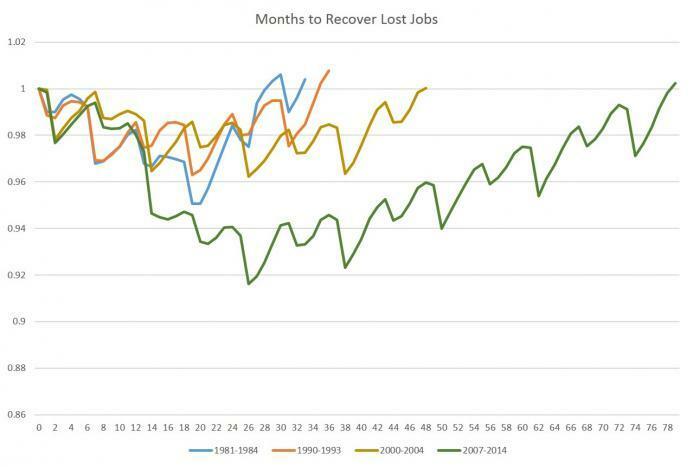 It appears unlikely that it is now unnecessary to add jobs at a rate comparable to past recoveries because so many older workers are leaving the work force. Nor is it likely that young people are leaving the work force because they are so prosperous. It’s more likely that young people are leaving the work force as discouraged workers. 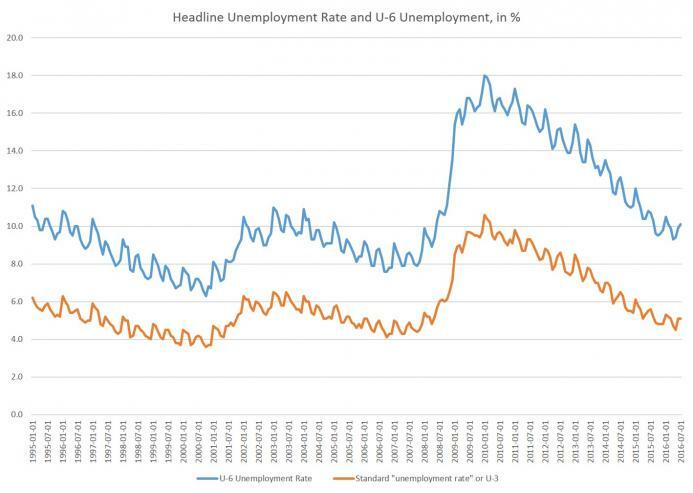 This supposition is further strengthened by the fact that the unemployment rate in the 16-24 age range has been above 10 percent for the past nine years. It was especially high even before the last recession. But, unemployment among over-55 workers is among the lowest of all demographic groups, with a rate between 3 percent and 4 percent in recent years. In other words, older workers are sticking around and doing relatively well. It appears that younger workers, meanwhile, are more likely to be unemployed, underemployed, or even totally out of the workforce as discouraged workers. Those who attempt to spin the current job numbers as simply the effects of people happily leaving the work force appear to be mistaken in assuming that older workers are leaving, and that younger workers need not work because they’re so unusually productive. 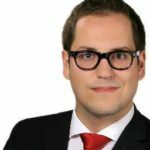 If young workers were so productive, is it too much to believe that they would choose to rent an apartment rather than live with their parents? Once we look a the demographics behind the current job numbers, we actually find the situation is more alarming that we might have thought otherwise. We seem to be in a situation where younger workers are participating in the work force less, and putting off acquiring essential job skills that will lead to more productivity later. Older workers are still sticking around in numbers large enough to keep the overall labor force number growing. However, while both the working age population and the labor force are growing, overall job creation simply is not keeping up. At some point, those 30-year olds living with their parents are doing to need full-time work, but will they have the job experience necessary (and thus the productivity) necessary to support the lifestyle to which they have become accustomed? Or, will they simply enter the workforce with few job skills following a decade of part-time work or no work forced on them by our weak economy? When that happens, we’re likely to see a continued decline in the household and personal incomes. I was at a restaurant for lunch and had time to visit with the waitress, who turns out to be a college graduate from a good institution. She has a degree in European languages. Here she is waiting tables with nondegreed people, some five years her junior, some 10 years her elder. She is making good money, but so are her co-workers. You have to wonder: given her position, what was the professional advantage to her of those four hard years in school and the $100K spent on them? What were the opportunity costs? This is not another article to disparage the value of a college degree. I would like to raise a more fundamental question. It concerns the strange way in which our education system has overly segmented our lives into a series of episodic upheavals, each of which has little to do with the other, the value of one accomplishment being oddly disconnected from the next stage, and none of them directly connecting to our professional goals except in the unusual case. From the earliest age until adulthood, we’ve been hurled from institution to institution in a way that eventually sets young people back from developing continuity of plans and a social support system to realize their goals. At the end of it all, people find themselves back where they started: figuring out their market worth and trying to find a buyer for their services. Instead of drawing down on accumulated capital, they end up starting fresh at age 22. Even after years of building social capital, they are drawing down on a nearly empty account. There is something seriously wrong with this system. Shouldn’t our investments in our friendship networks extend across and beyond the stages of our development to make more of a difference in our lives? In a couple of months, for example, many millions of high school students will graduate. Celebration! Sort of. It’s great to finish school. But what’s next? Many students find themselves devastated to lose the only social group and friendship network they’ve ever known. They worked for years to cultivate it, and in an instant, it is blown apart. They are left with a piece of paper, a yearbook of memories, a transcript, and, perhaps a few recommendation letters from teachers — recommendations that do them little good in the marketplace. “Don’t ever change,” they write in each other’s yearbooks. The sentiment expresses a normal longing to hold on to the investment the students make in each other’s lives, even as everything about the system tries to take that investment from them. Then, the same group, or at least many among them, look forward to college, where they are mostly, again, starting from scratch in a social sense. It can be very scary. College students begin their new experience isolated. They work for another four years to develop a network — a robust social group — to find their footing and to establish both a reputation and sense of self. This is the only world they’ve known for years, and they have invested their hearts and souls into the experience. The social fabric ends up rich and wonderful, with intense friendships based on shared lives. Finally, after four years, the graduation march plays, the tassel is moved from one side of the cap to the other, and the whole social apparatus goes up in smoke — again. Then, another diaspora. Once again, students find themselves nearly alone, with few hooks into the world of commerce and employment. They have a degree but few opportunities to monetize it. Their social network is of limited use to them. All they have, yet again, is a piece of paper. Plus they have recommendation letters from professors that still do them little good in the marketplace. This not always the case. 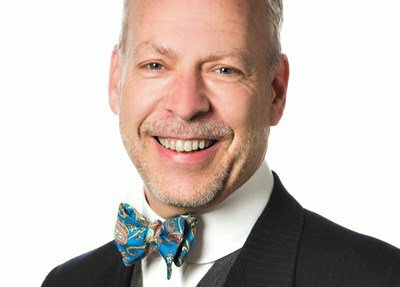 There are workarounds, and digital networking is helping. People join fraternities and social clubs, and those can be useful going forward. But it might take years for these connections to yield results. The more immediate question is this: What do I do now? Lacking a broad sense of the way the world works, and missing any influential hooks into prevailing networks, a college grad can often find herself feeling isolated once again, starting over for the third time. This is the system that the civic culture has created for us. For the years from the ages of 14 through 22, students’ primary focus of personal investment and social capital building is centered on their peers. But their peers are just the same as they are: hoping for a good future but having few means to get from here to there. Why does this keep happening? Looking at the big picture, you can start to see a serious problem with the educational system politicians have built for us. It is keeping people “on track” — but is it a track that prepares people for the future? A core principle of the education system, as owned and controlled by government, is Stay in school and stay with your class. This is the emphasis from the earliest grades all the way through the end of college. The accidents of birth determine your peer group, your primary social influences, and the gang you rely on for social support. To be “held back” is considered disgraceful, and to be pushed forward a grade is considered dangerous for personal development. Your class rank is your world, the definition of who you are — and it stays with you for decades. Everyone is on a track as defined by a ruling class: here is what you should and must know when. All your peers are with you. Many factors entrench this reality. The public school system is organized on the assumption of homogeneity, a central plan imposed from the top down. It didn’t happen all at once. It came about slowly over the course of 100-plus years, from the universalization of compulsory schooling, to the prohibition of youth work, to the gradual nationalization of curricula. In the end, we find the lives of young people strictly segmented by stages that are strangely discontinuous. 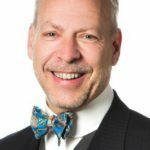 Where are the professional contacts that result? Where are the friends who can smooth your way into the world of professional work? They aren’t among your former classmates. Your peers are all in the same position you are in. The workplace might help to mitigate this problem, but it’s incredibly difficult for young people to get a regular job thanks to “child labor” laws that exclude teens from the workforce. For this reason, only one in four high school kids has any real experience outside their peer group. They miss all the opportunities to learn and grow that come from the workplace — learning from examples of personal initiative, responsibility, independence, and accountability. There are extremely narrow conditions under which a 14-year-old can find legal employment, but few businesses want to bother with the necessary documentation and restrictions. A 16-year-old has a few more opportunities, but, even here, these young people can’t work in kitchens or serve alcohol. The full freedom to engage a larger community outside the segmented class structure doesn’t come until after you graduate high school. By the time the opportunity comes around to do authentic remunerative work, a student’s life is filled with other interests, mostly social, but also extracurricular. Instead of working a job, people are doing a thousand other things, and there seems to be no time left. It’s not uncommon for people to graduate with no professional experiences whatsoever to draw on. Their peers are their only asset, their only really valuable relationships, but these relationships have little commercial value. How natural is any of this? If you look at the social structure of homeschooling co-ops, for example, younger kids and older kids mix it up in integrated social environments, and they learn from each other. Parents of all ages are well integrated too, and it creates a complex social environment. The parents know all the kids and, together, they form a diverse microsociety of mutual interests. This is one reason that homeschooled kids can seem remarkably precocious and poised around people of all ages. They are not being artificially pegged into slots and held there against their will. When you read about the experiences of successful people in the late 19th century, they talk of their exciting and broad experiences in life, working in odd jobs, meeting strange people of all ages and classes, performing tasks outside their comfort zone, encountering adult situations in business that taught them important lessons. They didn’t learn these things from sitting in a desk, listening to a teacher, repeating facts on tests, and staying with their class. They discovered the world through mixing it up, having fabulous and sometimes weird experiences, being with people who are not in their age cohort. They drew on these experiences for years following. The system to which we have become accustomed is not of our choosing, and it certainly isn’t organic to the social order. It has been inflicted on us, one piece of legislation at a time. It is the result of an imposed, rather than evolved, order. Why wait until age 22 to get serious about your life? Why stick with only one career choice in the course of your appointed 40 years in professional life? Why retire at the young age of 65, just because the federal government wants you to do so? Think about this the next time you attend a graduation. Are the students shedding only tears of joy? Or, in the sudden mixture of emotions, is there also the dawning realization that they are witnessing the destruction of a social order they worked so hard to cultivate? Are they also overwhelmed with the knowledge that, in short order, they will have to recreate something entirely new again? Where is the continuity? Where is the evidence of an evolved and developing order of improved opportunities? The most important question is this: What are the alternatives? Bring back apprenticeships. Bring back remunerative work for the young. Look beyond the central plan, and don’t get trapped. Rethink the claim that staying in school is an unmitigated good. Find other ways to prevent your heavy investments in others from dissipating; ensure instead that they will pay more immediate returns. Our friends should remain in our lives — and yield a lifetime of returns. 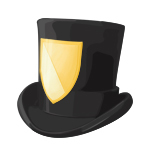 …we have attempted to maximize the accessibility of free, online content that we have made available to the public. Nevertheless, the Department of Justice has recently asserted that the University is in violation of the Americans with Disabilities Act because, in its view, not all of the free course and lecture content UC Berkeley makes available on certain online platforms is fully accessible to individuals with hearing, visual or manual disabilities. …We look forward to continued dialog with the Department of Justice regarding the requirements of the ADA and options for compliance. Yet we do so with the realization that, due to our current financial constraints, we might not be able to continue to provide free public content under the conditions laid out by the Department of Justice to the extent we have in the past. In short, the DOJ is saying that unless all have access, none can and UC Berkeley is replying that none will. I sympathize with UC Berkeley’s position. The cost of making materials accessible can be high and the cost is extremely high per disabled student. It would likely be much cheaper to help each disabled student on an individual basis than requiring all the material to be rewritten, re-formatted and reprogrammed (à la one famous example). An even greater absurdity is that online materials are typically much easier to access than classroom materials even when they do not fully meet accessibility rules. How many teachers, for example, come with captions? (And in multiple languages?) How about volume control? How easy is it for the blind to get to campus? In theory, in-class materials are also subject to the ADA but in practice everyone knows that that is basically unworkable. I guarantee, for example, that professors throughout the UC-system routinely show videos or use powerpoints that do not meet accessibility guidelines. Thus, by raising the costs of online education, the most accessible educational format, the ADA may have the unintended consequence of slowing access. Put simply, raising the costs of online education makes it more difficult for anyone to access educational materials including the disabled. Addendum: By the way, if you are wondering, all of MRU’s videos for our Principles of Microeconomics and Principles of Macroeconomics courses are captioned in English and most are also professionally captioned in Spanish, Arabic and Chinese. 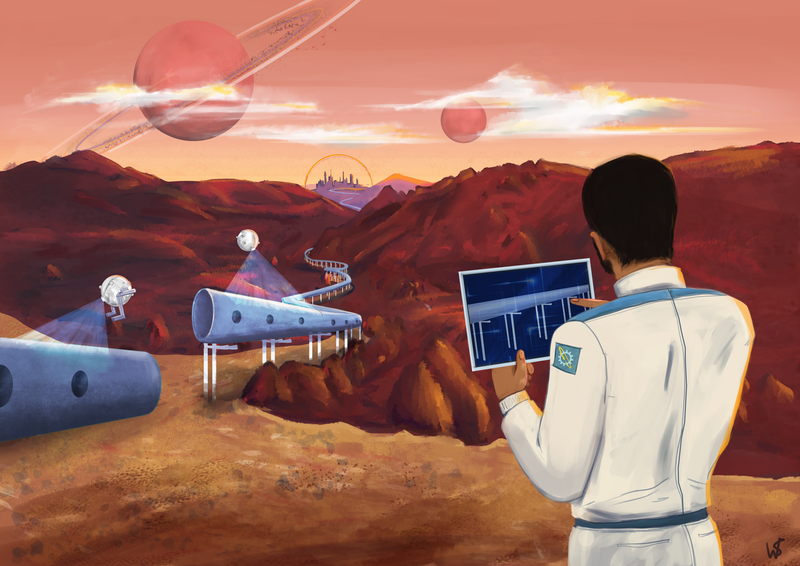 Inspired by the recently-discovered habitable exoplanet orbiting Proxima Centauri, this painting depicts a risk-taking space colonist/engineer overseeing the construction of a Hyperloop (with the aid of sentient drones!) in a bright, and hopefully near, future. Wendy D. Stolyarov is an accomplished writer, thinker, artist, and graphic designer, who brings her immense talent and capacity for innovation to The Rational Argumentator and the wider movement for the advancement of Reason, Rights, and Progress. Mrs. Stolyarov uses computer technology masterfully to produce precise, realistic, life-affirming art. She has also contributed multiple essays to TRA and designed many of the magazine’s newer logos, including its banner and the New Renaissance top hat. Mrs. Stolyarov is married to G. Stolyarov II, the Editor-in-Chief of The Rational Argumentator. She is the illustrator for Death is Wrong, the children’s book on indefinite life extension written by Mr. Stolyarov in 2013. In August of 1790, George Washington wrote a brief letter to the Hebrew Congregation of Newport, Rhode Island. If anything, it is more timely than ever as we continue to struggle with questions of toleration and bigotry, and of the joys and dangers of insisting on freedom of conscience in our nation and in our lives. While I suspect many reader will find, as I do, the notion of being a part of the “great governmental machine” far less appealing than Seixas did, his main point remains a vital one. For a people who had been chased from their homes by persecution, forced conversions, violence, and governmental theft of their property, the American promise of toleration was an almost incomprehensible blessing. When I visited the Touro synagogue—home of the Jewish congregation Washington addressed—last week, my tour guide reminded me that Rhode Island’s version of religious toleration was particularly impressive, even within the wider American context. a lively experiment, that a most flourishing civil state may stand and best be maintained…with a full liberty in religious concernments… our royal will and pleasure is, that no person within the said colony, at any time hereafter shall be any wise molested, punished, disquieted, or called in question, for any differences in opinion in matters of religion, and do not actually disturb the civil peace of our said colony; but that all and every person and persons may, from time to time, and at all times hereafter, freely and fully have and enjoy his and their own judgments and consciences, in matters of religious concernments, throughout the tract of land hereafter mentioned, they behaving themselves peaceably and quietly, and not using this liberty to licentiousness and profaneness, nor to the civil injury or outward disturbance of others, any law, statute, or clause therein contained, or to be contained, usage or custom of this realm, to the contrary hereof, in any wise notwithstanding. Even the structure of Newport echoes the words of its royal charter. The city’s churches are not next to the statehouse, but clustered behind it, emphasizing their equality with one another and the separation between church and state. It is hard for a modern reader to understand exactly how astonishing this promise of complete freedom of religious conscience was for the time. Perhaps the best way to think about it is that, when this royal charter was drawn up, Europe had suffered through more than 120 years of near-constant religious warfare. The death toll from that religiously motivated violence totaled somewhere between 5.6 and 18.5 million, depending on which historians you read and whether or not you count deaths caused by diseases and famine resulting from warfare. Rhode Island must have seemed like a miracle to any 17th-century citizen. And for the Jews of Spain and Portugal, making their way to Newport via Amsterdam, the promise of such freedom must have been tantalizing and a little terrifying. Could they really trust that non-Christian religions would be included in these promises? Would they really be safe? The Revolution is over. The Constitution is in place. The Republic has not fallen apart in its first years. There is reason to be proud, says Washington. More importantly, he argues that toleration is not a question of an elite extending a favor to a lower and less worthy class. Toleration is about the equal treatment of all. The Jews of Newport are not “tolerated” the way that one learns to live with a leaky faucet or a small ding on your car bumper. Their differences are tolerated because their persons are equal. Repeating Seixas’s phrasing back to him, in words that have become a crucial part of American thinking, Washington reassures him, and all the Jews of Newport, that he and they are of one mind on the subject of toleration. We should think, today, about that phrase that Seixas originated and Washington repeated. It makes a fine model for how we should behave in the increasingly fraught religious tensions of the 21st century. A civil society should give to bigotry no sanction, and to persecution no assistance. That means that those of us who are already here may not use our position to persecute newcomers, nor may we use their differences as an excuse for hatred and ill-treatment. But this is a covenant that must work in both directions. To enter into a civil society, one must make those promises as well. Old hatreds, old prejudices, and old patterns of persecution must be left on the doormat of a civil society—discarded, like a pair of muddy boots, before you come in. I had been pondering writing a similar piece myself. And then I saw his title. Darn, I thought, Goldberg has beat me to it. Goldberg’s article is all about his narrow way of keeping politics out of sports: players should stand for the national anthem. Some people would see this as a way of inserting politics into sports. That means that people who don’t like what Kaepernick did are being forced to pay for the very property on which he did it. But how would you keep politics out of sports in a fundamental way? It would be by not forcing people to pay for sports. You don’t have to know a lot about the 49ers or the NFL to know that local governments tax their residents and others heavily to pay for luxurious stadiums. That means that people who don’t like what Kaepernick did are being forced to pay for the very property on which he did it. On the other hand, it also means that people who don’t like the flag-waving that goes on at NFL games are also forced to pay for the property on which that occurs. There’s a simple solution here: actually separate sports and state. That is, quit forcing taxpayers to pay for sports. Now that’s a solution that I will salute.